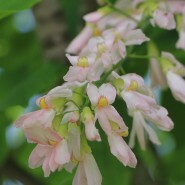 On the Perkins Pink Yellowwood the pendulous fragrant pink flowers appear longer than the white and are about 10 – 15″ long . 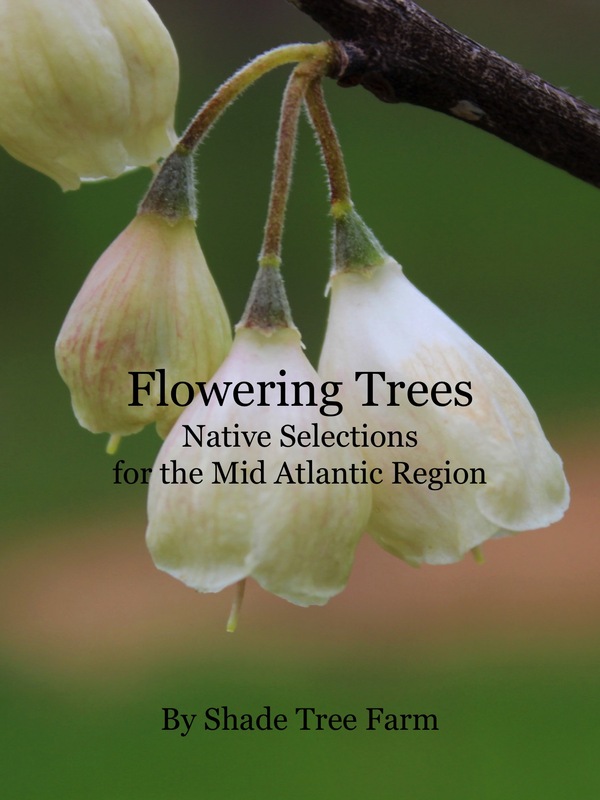 They bloom in June and are loved by pollinating insects. 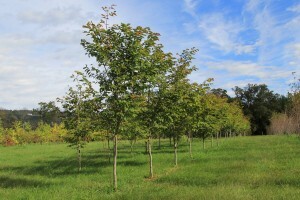 The foliage in summer is attractive deep green and is very resistant to disease and insect damage. Fall transforms the tree into brilliant gold. The smooth, light grey bark and pleasing structure of this tree make it an attractive specimen in the winter months.